Queen's Park lies between Kilburn and Kensal Green, developed from 1875 onwards and named to honour Queen Victoria. 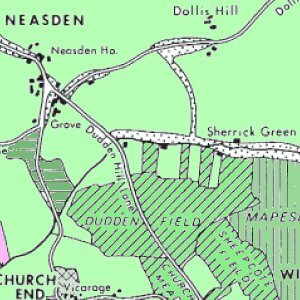 The north of Queen's Park formed part of the parish of Willesden and the southern section formed an exclave of the parish of Chelsea, both in the Ossulstone hundred of Middlesex. 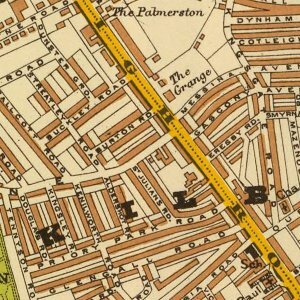 In 1889 the area of the Metropolitan Board of Works that included the southern section of Queen's Park was transferred from Middlesex to the County of London, and in 1900 the anomaly of being administered from Chelsea was removed when the exclave was united with the parish of Paddington. 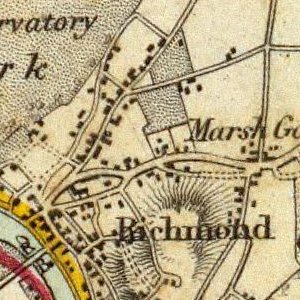 In 1965 both parts of Queen's Park became part of Greater London: the northern section - Queen's Park 'proper' formed part of Brent and the southern section - the Queen's Park Estate - joined the City of Westminster. Queen's Park, like much of Kilburn, was developed by Solomon Barnett. The two-storey terraced houses east of the park, built between 1895 and 1900, typically have clean, classical lines. Those west of the park, built 1900–05, tend to be more Gothic in style. 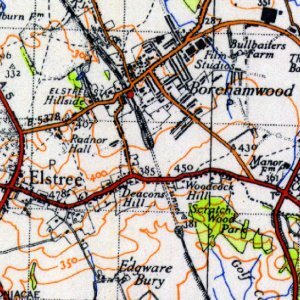 Barnett's wife was from the West Country, and many of the roads he developed are named either for places she knew (e.g. Torbay, Tiverton, Honiton) or for popular poets of the time (e.g. Tennyson). 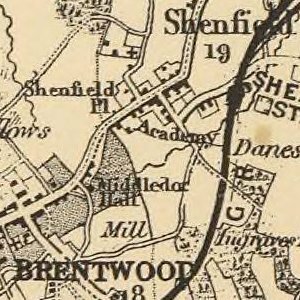 The first occupants of the area in late Victorian times were typically lower middle class, such as clerks and teachers. Queen's Park is both demographically and architecturally diverse. The streets around the park at the heart of Queens Park are a conservation area. 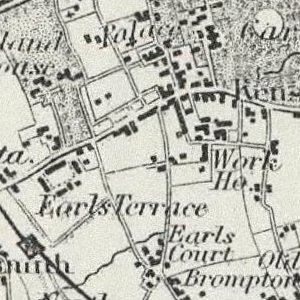 There is hardly any social housing in the streets around Queens Park itself, and the area was zoned as not suitable for social housing in the 1970s and 1980s as even then house prices were above average for the borough of Brent, which made them unaffordable for local Housing Associations. The main shopping streets of Salusbury Road and Chamberlayne Road have fewer convenience stores and more high-value shops and restaurants. Local schools – some of which struggled to attract the children of wealthier local families in the past – are now over-subscribed. House prices have risen accordingly. 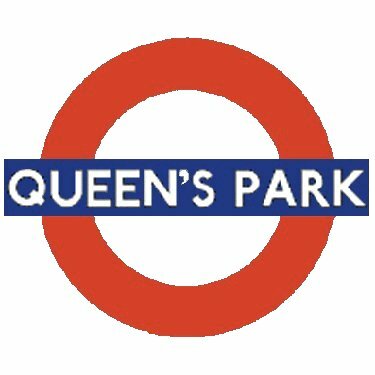 Queen's Park station was first opened by the London and North Western Railway (LNWR) on 2 June 1879 on the main line from London to Birmingham. 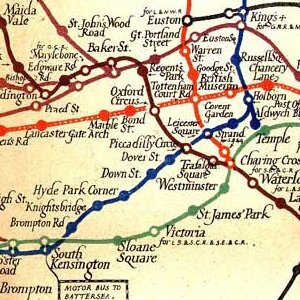 Services on the Bakerloo line were extended from Kilburn Park to Queen's Park on 11 February 1915. 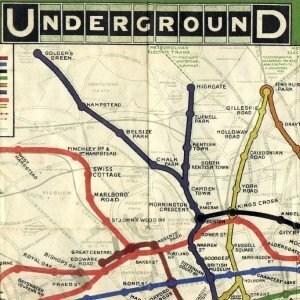 On 10 May 1915 Bakerloo services began to operate north of Queen's Park as far as Willesden Junction over the recently built Watford DC Line tracks shared with the LNWR. As of December 2013, no mainline services calling at the station and the Watford service has been transferred to London Overground.